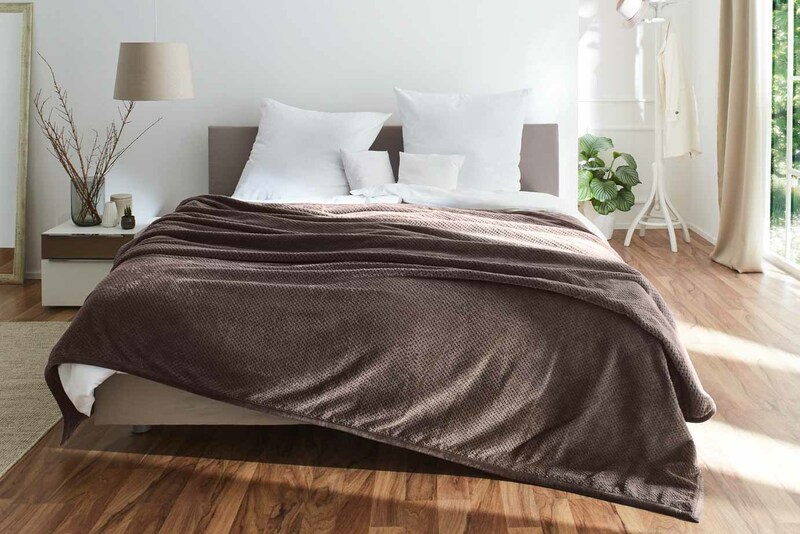 This blanket with nub surface smartens the appearance of any bedroom in no time. 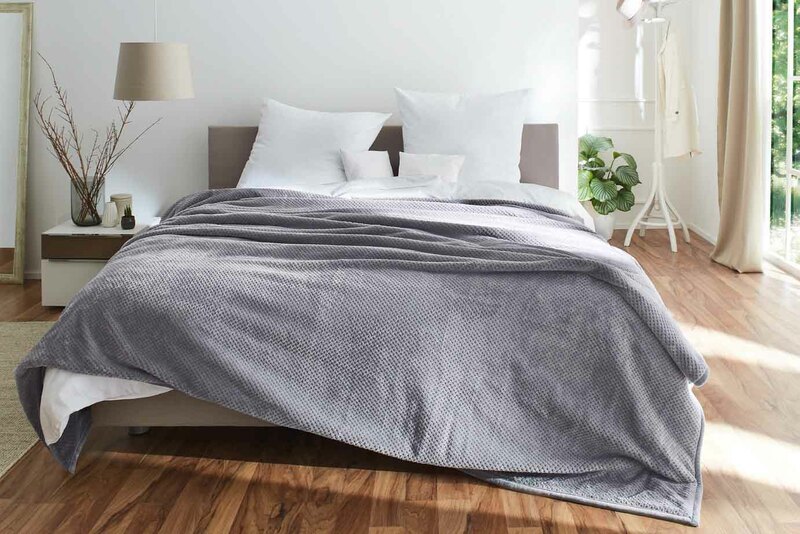 The double-layered craftsmanship makes it the perfect throw for the bed and very cuddly. 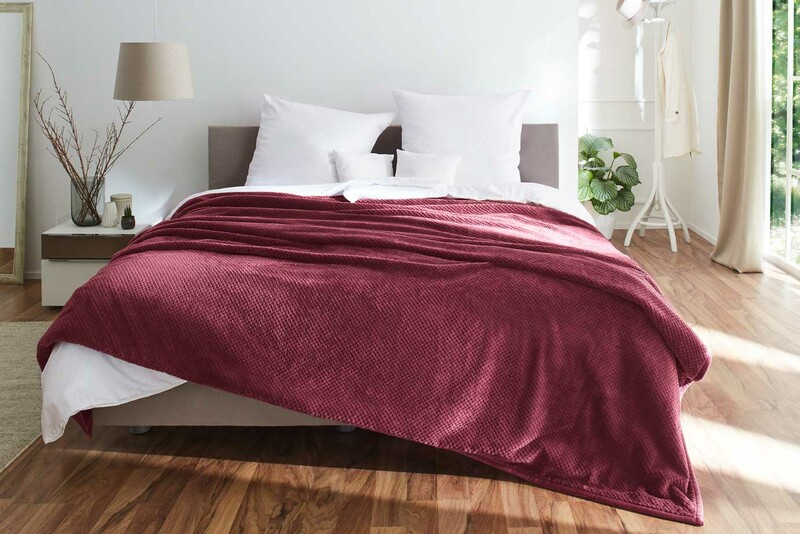 The blanket measures 220 cm x 260 cm and is available in four colours: wool white, berry, taupe and silver. You can therefore easily coordinate this chic accessory to suit your exact interior style. The fabric and quality leave nothing to be desired. The blanket is made of 100 % easy-care polyester and can be cleaned in the washing machine without problem.